Atlanta United will be looking to put an end to their four-game winless run in MLS when they take on New England Revolution at Gillette Stadium on Sunday morning. 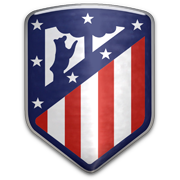 The Five Stripes are on a quest to defend their trophy, but they need to get back on course as soon as possible if they are to rejoin the race for the title. A man to watch in the away team will be last season’s MVP Josef Martinez, who is eager to find his goal-scoring touch. 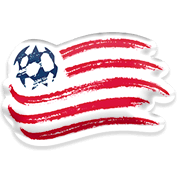 The Revs, on the other hand, suffered a 1-0 loss to Columbus Crew at the weekend despite producing a fine display in the MAPFRE Stadium clash. New England have been struggling to find their best form at the start of the season and seeing that the title holders are eager to return to winning ways, away win should be considered. Born on February 14, 1995 in Montevideo, Uruguay, Diego Fagundez is a 173-cm tall footballer, who plays for New England Revolution as an attacking midfielder. After spending his youth career at the likes of Leominster Youth Soccer, Greater Boston Bolts and New England Revolution, he continued playing for the Revs in MLS. Diego Fagundez is nowadays considered one of the best New England players and it has to be noted that he scored nine goals in the 2018 season, while providing eight assists for his teammates. The Uruguayan footballer has yet to make his debut for the senior national team, but he has five caps for the Uruguay U20 team. Diego Fagundez represented la Celeste at the 2015 South American Youth Championship. Diego Fagundez’s main position is left winger, but he is capable of playing as both centre-forward and second striker as well. His preferred foot is right and his contract with New England Revolution should expire on December 31, 2019. 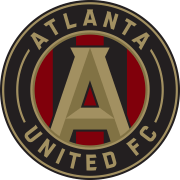 Atlanta United is a Major League Soccer club and they were founded on April 16, 2014. They are based in Atlanta, Georgia and they will make their debut in MLS in 2017. Arthur Blank is the club’s owner and Bobby Dodd Stadium is Atlanta United’s home ground. Arthur Blank is an American businessman, who is well known for his ownership of the NFL club Atlanta Falcons. The venue was opened on September 27, 1913 and its’ current capacity is 60.316. However, it has to be noted that the team will play first eight home games of the 2017 season at Bobby Dodd Stadium, while the latter nine fixtures will be hosted by Mercedes-Benz Stadium. Speaking of the club’s colors, Atlanta United footballers wear black and red shirts and black shorts with a little bit of gold mixed in. Gerardo Martino, who used to be in charge of La Liga side Barcelona in the past, will coach Atlanta United in the 2017 MLS season. Tata Martino won the Spanish Super Cup with Barca, while making it to the Copa America final with Argentina on two occasions (2015, 2016).